Have you ever wondered why every year since Gov. Bill Walker took office the state's estimated budget deficit has been reported as $2.5 billion? Have you asked yourself why the Walker administration estimated oil production would fall by 12 percent this year when it actually increased by 2.5 percent? Why does he have such a pessimistic view of Alaska's future? The answer to these questions is simple. Gov. Walker pushes a narrative of "crisis" because it justifies the economically destructive actions that he has taken during his tenure. I am optimistic about the future of Alaska and the economic potential of our great state. Rather than the negative picture that Gov. Walker paints of oil revenues, the reality is a very different story. Oil producers have done a great job of finding new oil and gas. This year, 533,400 barrels a day will flow through the pipeline, and increased production is projected for the future. Contrary to the state's forecast of $56 per barrel for the rest of the fiscal year, the price was recently close to $64 per barrel. Clearly, and perhaps intentionally, Gov. Walker and his administration wildly underestimated the revenue that oil would generate by hundreds of millions of dollars. But what if the price of oil falls? How do we pay our bills? These are questions that Gov. Jay Hammond and the people of Alaska had the foresight to consider and answer years ago. Alaska has a permanent stream of future revenue to help fund government — the Alaska Permanent Fund. 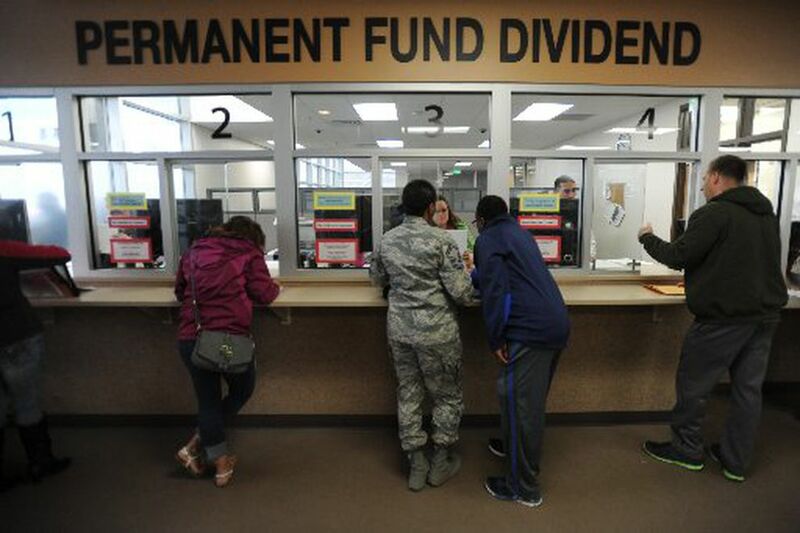 When increased oil revenues and this year's earnings of the Permanent Fund are added to the $6.8 billion dollars of income generated from the fund last year (half of which can be used for state spending), along with a portion of funding from the Constitutional budget reserve, we are able to cover the cost of government and still distribute a full dividend to every qualified Alaskan. Hammond and the founders of the PFD also knew that future governors and legislatures would be constantly tempted to spend the earnings of the fund. To protect the earnings from the insatiable appetite of politicians, they established the Permanent Fund Dividend Program or PFD. Since its inception, and until recently, Permanent Fund earnings have been paid according to statue, with half available for use by government spending and half paid to qualified Alaskans. Gov. Walker radically broke this long-standing tradition in 2016 when he vetoed half of the dividend appropriation. Then, in 2017, the Legislature only partially funded the dividend. The governor justified his decision to not fully fund the PFD because of "our fiscal crisis." Alaskans were led to believe that part of their PFD had to be cut to pay for the deficit. But what many Alaskans do not realize is that the thousands of dollars taken from Alaskan families did NOT pay for government. That's right. Not one penny of the PFD cut went to help pay for government. It sits in the earnings reserve of the Permanent Fund and is NOT being used to help fund the budget, and it is NOT being used by you. As a result of the governor's actions, a larger concern has emerged — how do we protect the Permanent Fund, its revenue stream, and the PFD from politicians only interested in growing government? In addition to electing leaders who understand fiscal restraint, we must provide constitutional protection for the fund. We must use the traditional 50/50 plan that was established years ago to protect the earnings and dividends, and properly inflation-proof the fund. Gov. Hammond and Gov. Wally Hickel recognized that the dividend was not and is not a government handout. They felt strongly about protecting the PFD because they knew that its earnings were for each Alaskan as a member of our owner-state. In 2018, we should restore Gov. Walker's raid of half the FY 2016 dividend, restore the Legislature's raid of half of the FY 2017 dividend, and pay full dividends going forward. The people of Alaska should be part of the process to protect the fund by insisting the Legislature pass a constitutional amendment referendum that goes to the people for a vote to protect the PFD as securely as the corpus of the fund itself. If legislators and the governor defy the will of Alaskans, then they will risk being voted out of office by the very people they purport to represent. The Permanent Fund has worked well for 35 years, and it will continue to do so if the people of Alaska demand it. Sen. Mike Dunleavy, R-Wasilla, represents Senate District E – Wasilla, Palmer, Talkeetna, Delta Junction, Glennallen, Valdez, and Whittier.